This should be an interesting program, featuring Capt. Danny Allen (Southern Salt Charters), veteran Cedar Key guide. It’s presented by (and at) Swamp Head Brewery. A very special guest will be Capt. Leiza Fitzgerald, CCA-Florida STAR Tournament Director. Expect to learn about the CCA, the STAR Tournament, and especially about fishing for redfish on Florida’s Gulf Coast. 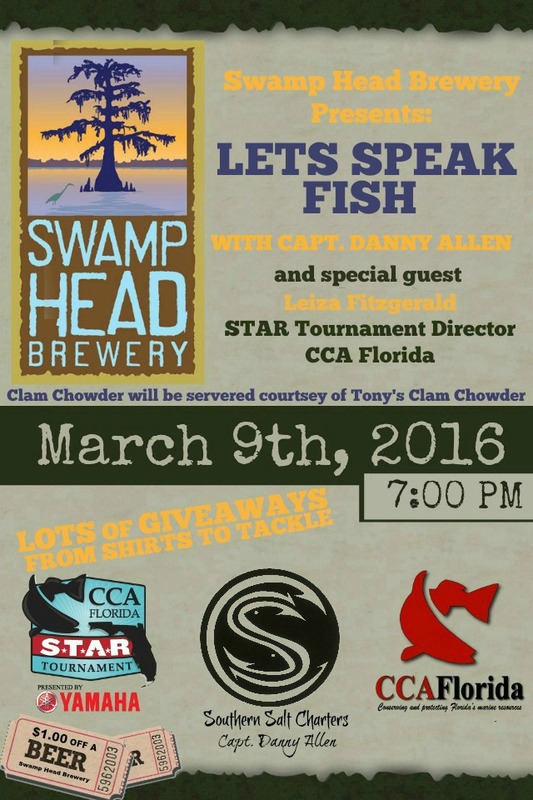 The event begins at 7PM at Swamp Head Brewery, 3650 SW 42nd Ave, Gainesville, FL You can expect some of Tony’s Clam Chowder, too, as well as discounts on beer and some great door prizes.